Hop Along is a part of the conversation. This past year saw the takeover of indie by women, and Frances Quinlan is another prime example of this. Her band’s most recent release, Bark Your Head Off, Dog, has consistently ranked across many major music publications’ best of 2018 lists, including the likes of NPR, Billboard, and Rolling Stone. Rightfully so, as the group’s third record is their most powerful yet. Quinlan’s unique style of world-building storytelling shifts to the forefront on this album, a necessary move given the extent and consequent of the issues she works hard to tackle and contextualize here. The line ‘strange to be shaped by such strange men’ appears on multiple tracks and is repeated like a mantra across the record, a tactic that is intentionally unavoidable and jarring (especially when put to words by Quinlan’s hair-raising voice). This powerful motif unites the project around a common theme of social reflection and reconciliation— one that is about as 2018 as you can get. Upon first listen, it’s clear that Bark Your Head Off, Dog is not the band’s first go at it. Frances Quinlan has been taking listeners on wild rides since before Hop Along’s acclaimed 2012 debut, Get Disowned. 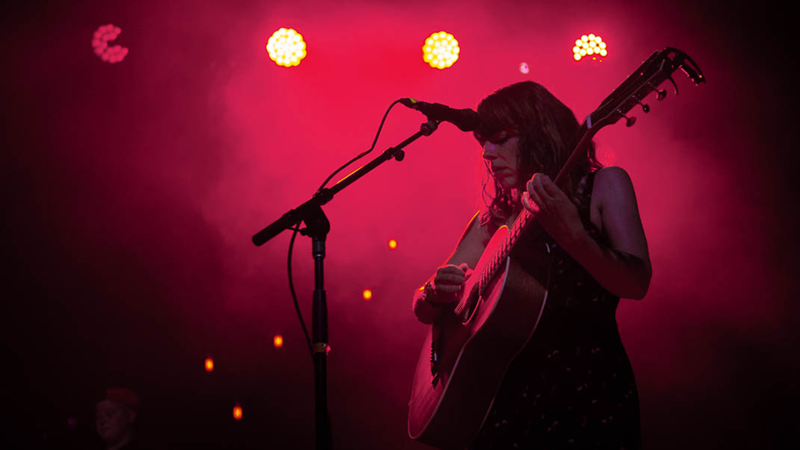 Prior to forming the Philadelphia-based indie group with Joe Reinhart, Tyler Long, and her brother Mark Quinlan, she toured around as a soloist playing “freak folk” songs influenced by the wit of artists like Kimya Dawson and Joanna Newsom. Her lyricism has become only more honed since then, and the four piece have consistently put out compositionally complex records that threaten to burst at any moment with the emotion carried by her words. Vocally, Quinlan sounds like she’s already given out. Her voice is Hop Along’s most distinctive characteristic, resonating improbably at both a whisper and a scream, an attempt to hold back and simultaneously let go. When she sings, it’s as if the strings inside her are about to break. It’s the same kind of gut-wrenching tension that put Saddle Creek label mate Bright Eyes on the map— only executed in a way that’s much more interesting. Conor Oberst gets a lot of praise for his eloquence, but his writing pales in comparison to the winding memoirs that Hop Along manages to weave into every track. Whereas Bright Eyes embraced indie’s many (problematic) tropes and cliches, Hop Along continues to reject them. This comparison is where one of the band’s greatest strengths comes to light: Quinlan consistently and defiantly pushes back against the prevalence of sad, self-loathing and male-driven love songs within her genre. This makes Bark Your Head Off, Dog, which is the band’s most overt challenge to the cultural status quo within music yet, more than just downright good— its important. From here, another critical point to the discussion of “women in music” is further illuminated. Not only do these artists challenge widely held notions of what it has traditionally meant to be a musician (at least in eyes of the press and mainstream public), they also push back against what we’ve come to expect of the content we listen to. 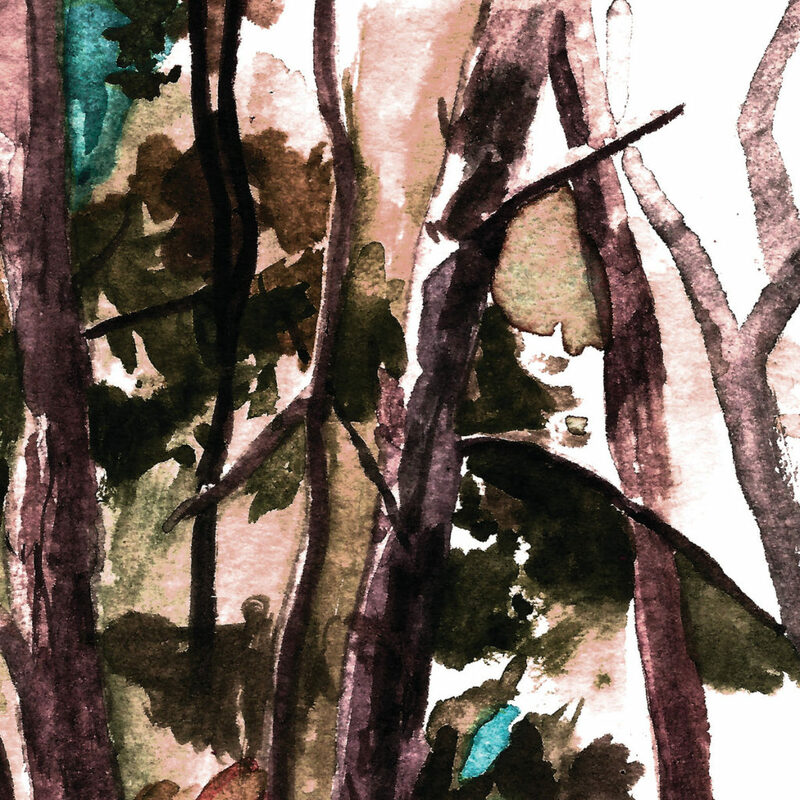 Hop Along doesn’t just matter because they’re a female-fronted band that makes good music. They matter because of the things they speak to that no one else can. Similarly, the powerful wave of women making music in 2018 wasn’t just a good thing for the improved gender balance it worked to instill in the industry. We don’t just need equality in music for equality’s sake, or because that’s what society is now beginning to demand of us. These artists have important things to say— things we would be missing out on otherwise. The perspectives and experiences they bring have been historically underrepresented, and thus they offer something necessarily new. We owe it to them to take these things seriously, and to understand them within the context of the rest of their genre at large. If there’s anything we take away from this past year, let it be that women making music need not be relegated to their own corner of the conversation. As artists, its clear that they can hold their own. 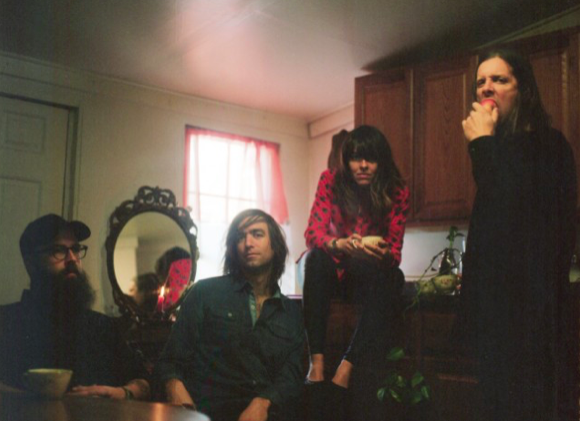 Like Hop Along, they are a part of the conversation. It falls on us as an audience to recognize that.